Mavis Staples will headline Sunday of the Baton Rouge Blues Festival. Photo via Mavis Staples. The 25th annual Baton Rouge Blues Festival is this weekend, April 13 and 14, in downtown Baton Rouge. Put on by the Baton Rouge Blues Foundation, the free, family-friendly event will showcase some of the biggest names in blues. For more information, visit the event page here. Louisiana Culinary Institute and the LSU AgCenter Botanic Gardens are once again teaming up for Gourmet in the Garden. Taking place tonight, Thursday, April 11, at the LSU AgCenter Botanic Gardens, the event gives guests the opportunity to enjoy spring weather while strolling through the grounds and tasting different dishes and drinks from places like BRQ, Soji, Beausoleil and more. Tickets are available here. Ashley Toman. Photo courtesy Ashley Toman. 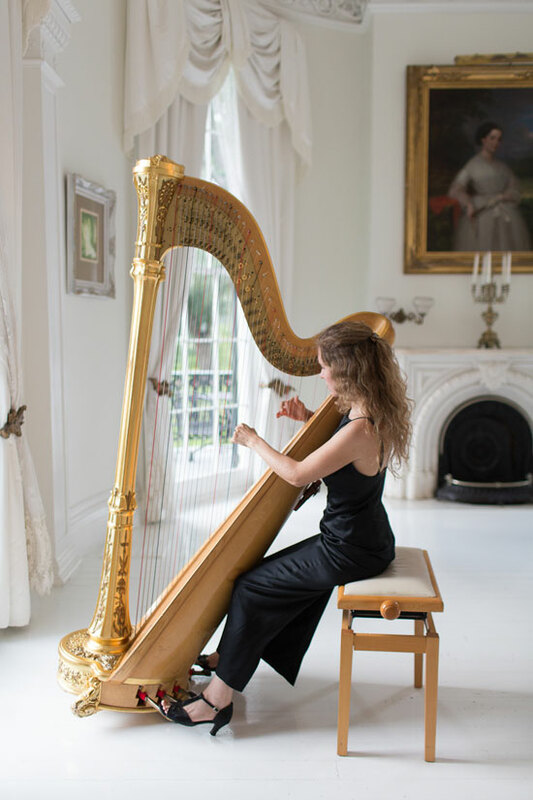 Tonight, Thursday, April 11, the Arts Council of Greater Baton Rouge and Pointe-Marie’s On Pointe Music Concert Series concludes with a performance from harpist Ashley Toman in Pointe-Marie Square from 6 to 8 p.m. The free event will also feature food available from Magpie Café. For more information, visit the event page here. The Baton Rouge Epicurean Society’s Fête du Vin is tonight, Thursday, April 11, at 6:30 p.m. at Juban’s. The annual event showcases wines from around the world in a high-end tasting. Tickets are available here. Tonight, Thursday, April 11, is the Manship Theatre’s Red Carpet Gala featuring a special performance from Motown legends The Four Tops. The cocktail party starts at 6 p.m. and tickets are available here. Opening at the LSU Museum of Art last week, artist Matt Wedel’s work in the exhibition Matt Wedel: On the Verge will be on display through September 29. The large-scale works combine the mediums of paint, sculpture and ceramics to create eye-catching and intriguing pieces. Wedel will also present a clay techniques demonstration tonight, Thursday, April 11, at 6:30 p.m. in the LSU Studio Arts Building on LSU Campus; advance registration is required. For more information, visit the event page here. Art by Matt Wedel. Photo courtesy LSU Museum of Art. Next Tuesday, April 16, the Manship Theatre is hosting a showing of the 2013 film Stevie Nicks: In Your Dreams at 7:30 p.m. Documenting the life of the much-loved musician, this movie is sure to cure your blues after Fleetwood Mac’s recent Jazz Fest cancellation. Tickets are available here. The LSU Museum of Art is hosting another installment of Yoga in the Galleries this Saturday, April 13, at 10:30 a.m. The event is $5 per person and features a full class among the art. For more on this program, check out this story from the inRegister archives. The next Electric Truth Poetry Slam and Open Mic night is next Tuesday, April 16, at 7 p.m. at the Arts Council of Greater Baton Rouge’s downtown headquarters. The event, which gives attendees the opportunity to participate and talk with the local creative community, happens on the first and third Tuesday of each month. For more information, visit the event page here.